The Trump administration floated the idea of using a 20% tax on goods imported from Mexico to pay for the wall. The math works. The U.S. imported $303 billion from Mexico in 2015 and 20% of that is about $60 billion -- more than enough to pay for President Trump's wall on the border. But it's not that simple. American companies and consumers would bear the brunt of such a tariff. 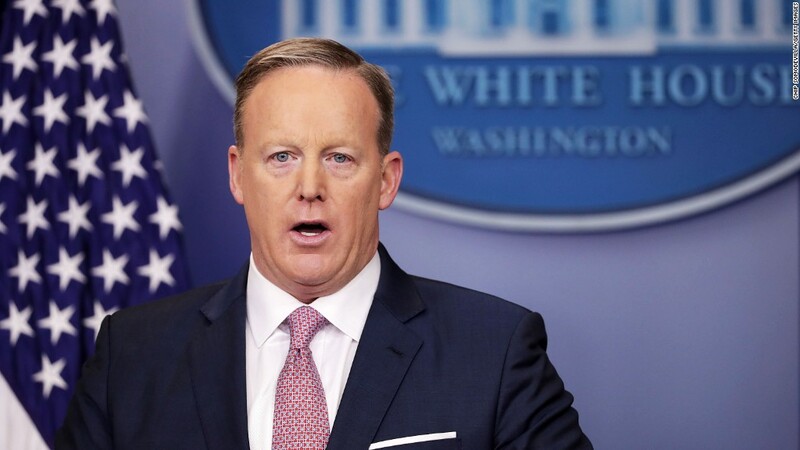 On Thursday, Trump's press secretary, Sean Spicer, told reporters that Trump would propose a 20% tariff on all goods shipped from Mexico to the U.S. to pay for the wall. The White House later clarified that it is just one option. Experts say a tariff would raise a mountain of concerns about U.S. jobs, the prices of products, and who actually pays for the wall. "The notion that a 20% tariff is a way of forcing Mexico to pay for the wall, it's just a falsehood. It's a way of forcing American consumers to pay for the wall," says Edward Alden a trade expert at the Council on Foreign Relations. First, about 6 million U.S. jobs depend on trade with Mexico, according to the U.S. Chamber of Commerce. Experts say those jobs would be jeopardized if Trump restricts trade with Mexico. Americans will very likely face higher prices for many things -- from cars and computers to avocados and Corona. A litany of products imported from Mexico would be more expensive. Companies from Ford (F) and GM (GM) to retailers like Walmart (WMT) and Best Buy (BBY) will likely be hit hard. Taxing Mexican imports affects many U.S. companies that send parts south of the border to be assembled. About 40% of the parts in a typical Mexican import originate in the United States. For example, before a car arrives at a local dealership, its parts criss-cross the U.S, Mexican and Canadian borders. It's how supply chains are used today. There are other less obvious ways a blunt tariff could come back to bite Americans. Higher prices on some products mean that Americans would have less money to spend on others. That would end up costing jobs. That's what happened in 2009 after President Obama used tariffs on Chinese tires. It cost more jobs than it saved because prices for tires went up, one study found. And a Trump tariff would apply to many more products, so the ripple effects would be a lot broader. That brings us to who pays for the wall. When the U.S. government applies a tariff on Mexican goods shipped into the U.S., Mexican companies don't pay the tariff -- American companies pay it. Companies usually pass the increased cost of goods down to consumers, hence the higher price tag. So yes, a 20% tariff would pay for the wall. But Mexico would not be paying for it. American consumers would ultimately pay the price. Literally. Mexico would suffer too. Its economy heavily relies on trade with the United States, and about 80% of all its exports go north of the border. A big tariff would discourage American firms from buying Mexican products. Trump's threats could just be a war of words to strong arm Mexico into paying for the border wall. Peter Navarro, who heads the White House National Trade Council, told CNNMoney during the campaign that the threat of a tariff would be a strategy to get Mexico into a better trade deal. Trump wants to renegotiate NAFTA, the free trade deal between Mexico, Canada and the U.S. The same logic could be applied to paying for the wall. "The tariff is not an end game, it's a strategy -- a strategy to renegotiate trade deals," Navarro said at the time. "Tariffs wouldn't put U.S. jobs at risk." If the tariff happens, the U.S. should expect Mexico to retaliate. Mexico's economy minister, Ildfonso Guajardo, said Mexico would respond immediately to any tariffs Trump imposes on Mexico. "It's very clear that we have to be prepared to immediately be able to neutralize the impact of a measure of that nature," Guajardo said on a Mexican news show that aired January 13. Guajardo added: A Trump tariff "will have a wave of impacts that can take us into a global recession."